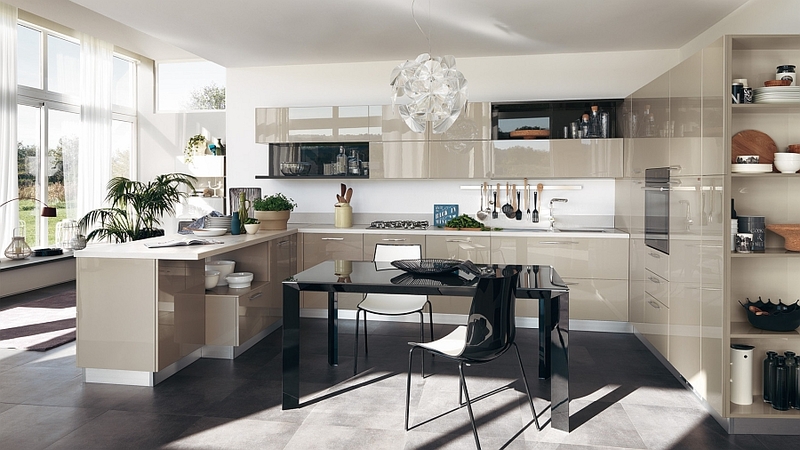 The trend of extending the living area into the kitchen and turning the kitchen itself into a relaxing and welcoming social hub is catching on rapidly. 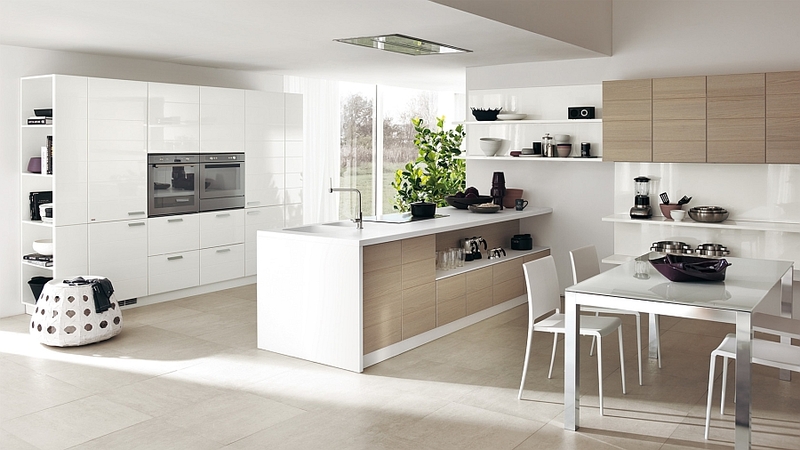 The popularity of open floor plans and the necessity to utilize available space to the hilt are quickly blurring the traditional barrier between the kitchen, the dining area and the living room. 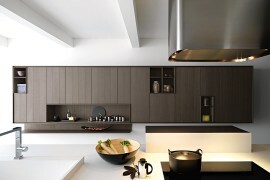 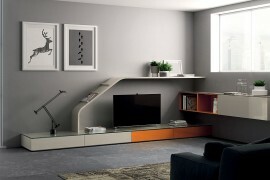 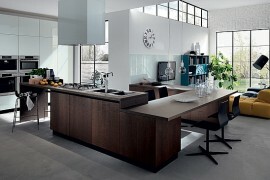 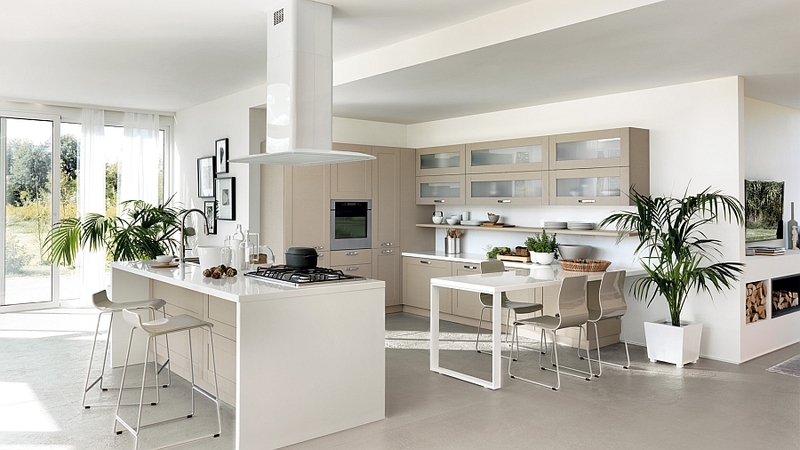 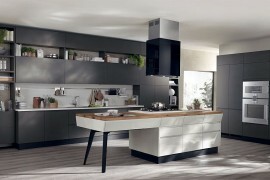 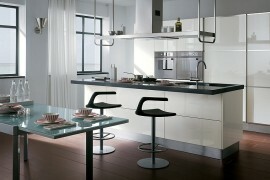 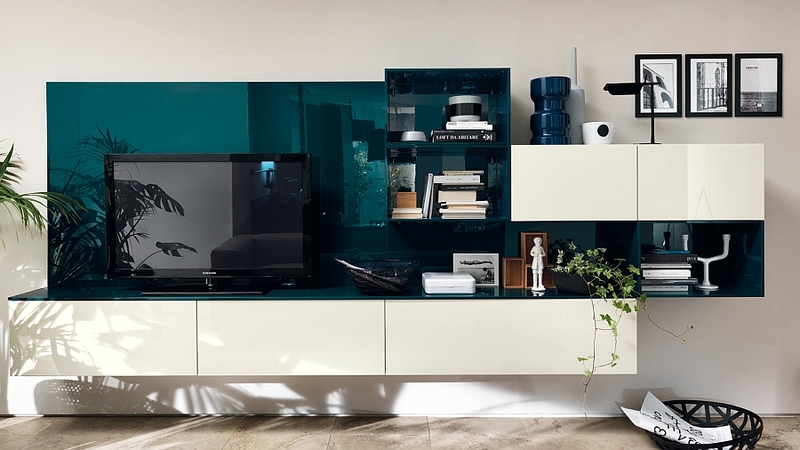 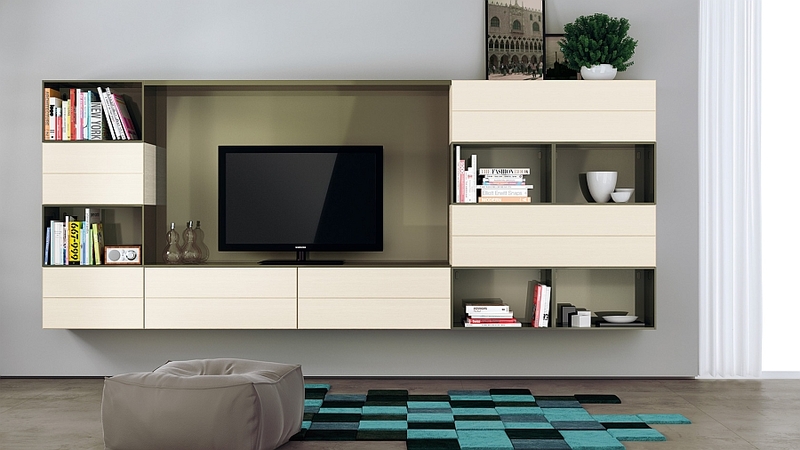 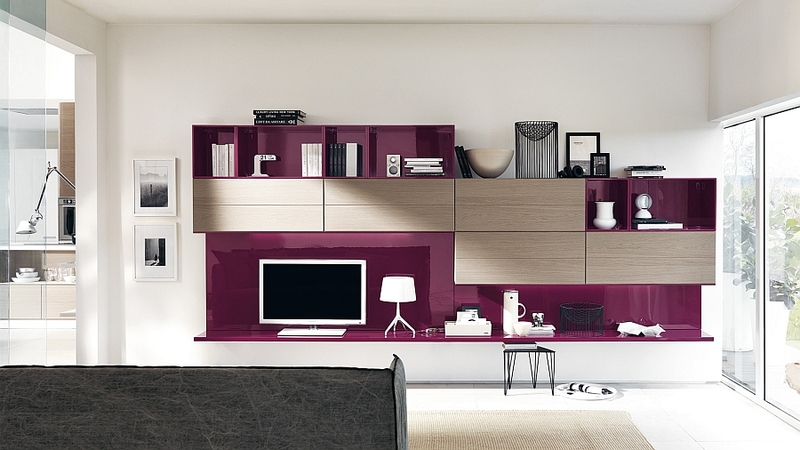 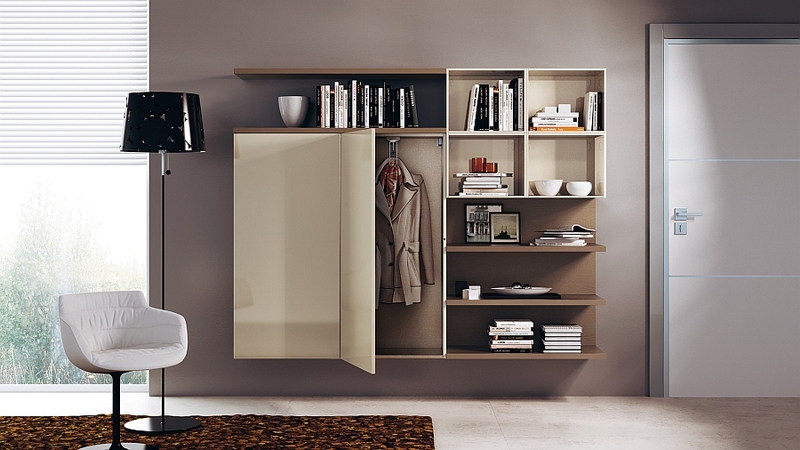 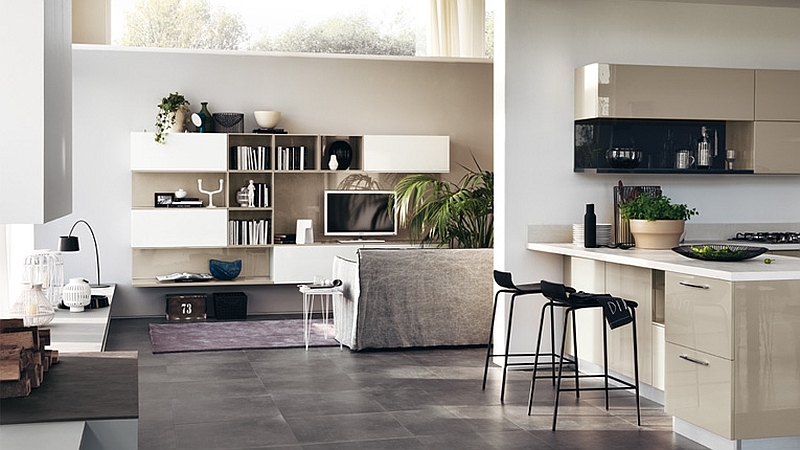 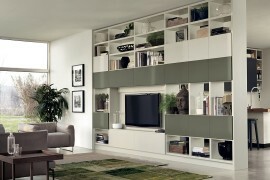 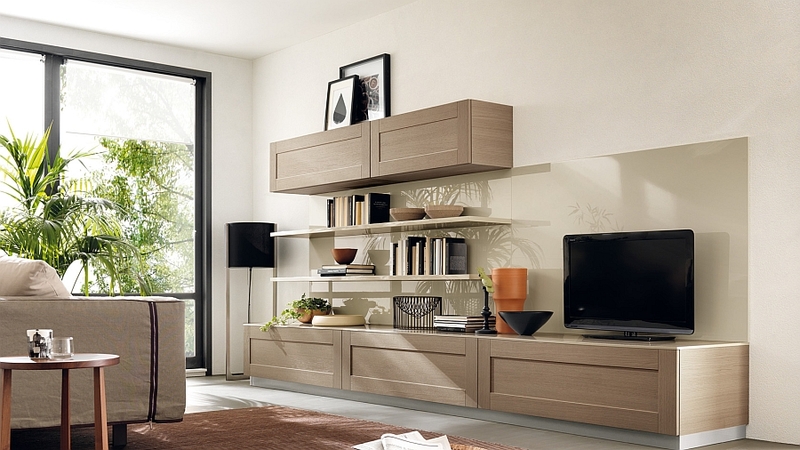 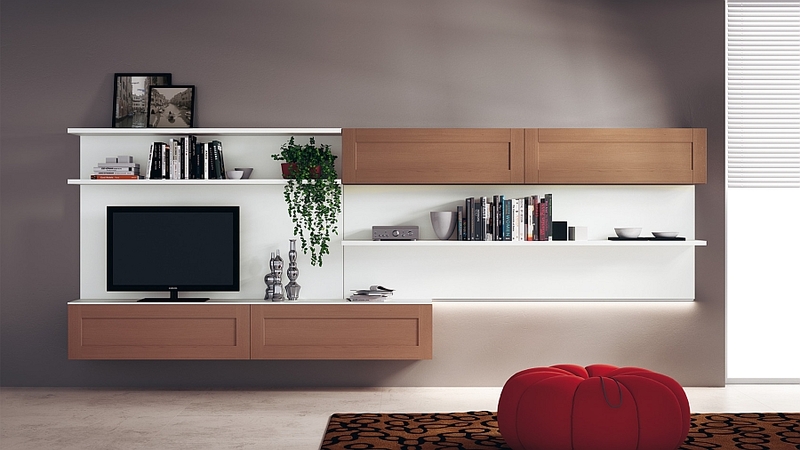 Responding to this new architectural trend are the OPEN living room and kitchen compositions from Scavolini. 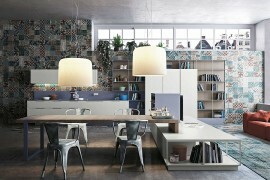 Creating a fluid space between the kitchen and the living area, these modular compositions can be custom-crafted and altered to the specific needs of your home and its unique floor plan. 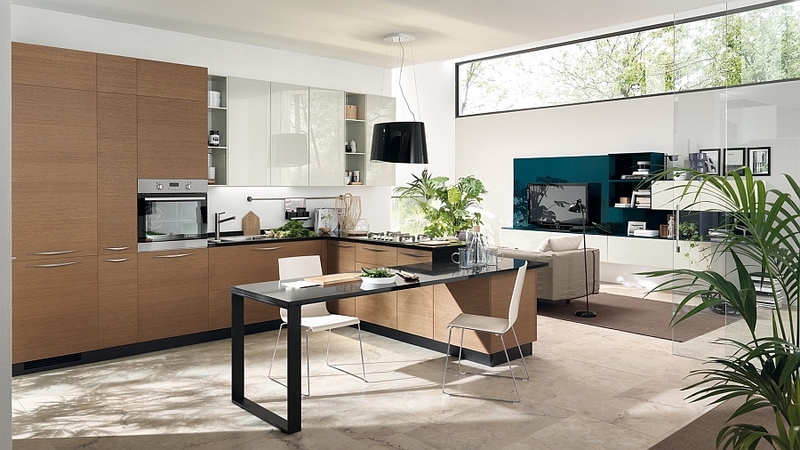 The OPEN system of living rooms and kitchens was specifically designed to suit the modern urban lifestyle that demands a sleek and effortless blend of form and functionality. 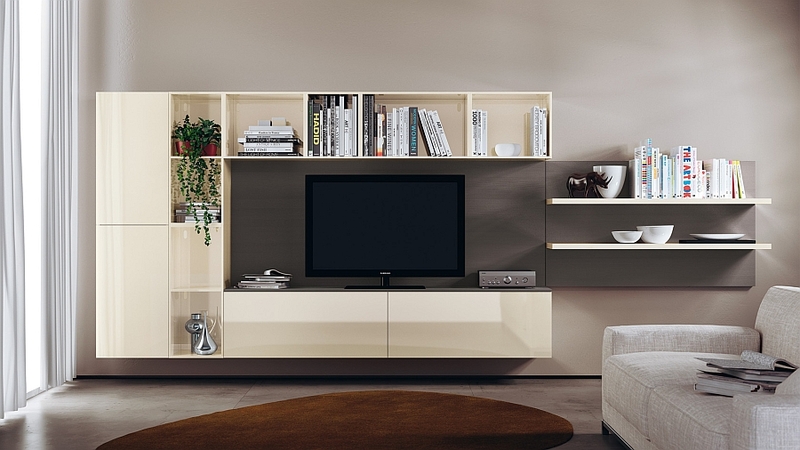 Contemporary in its outlook, the storage units of the kitchen in the OPEN system seem like a natural extension of the wall-mounted living room entertainment unit and decorative shelves. 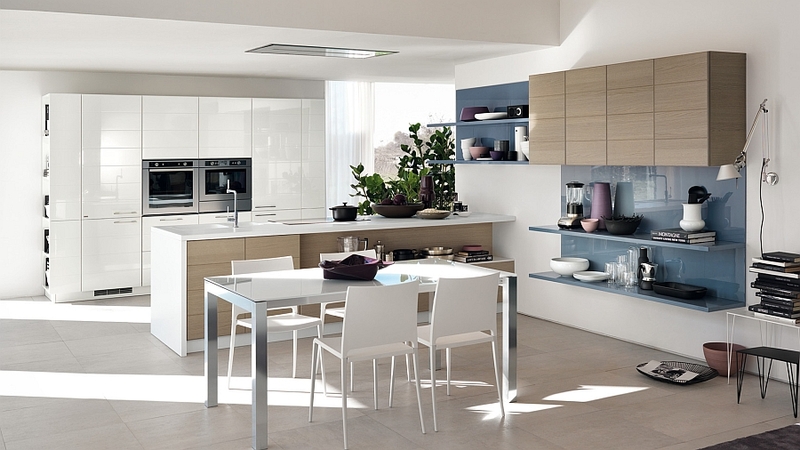 This gives your home a sense of continuity while visually and functionally extending the living area into the kitchen in a seamless fashion. 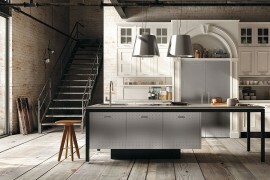 Much like the Social Kitchen from Diesel that we witnessed earlier, this is another smart effort by Scavolini to transform the appeal of the modern kitchen. 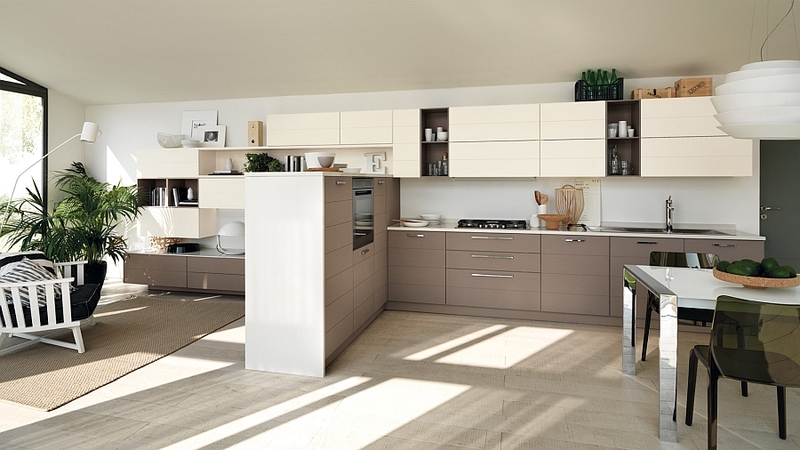 Available in a multitude of colors and an amazing array of finishes, this living room and kitchen combination allows you to shape everything from the entrance hall to the dining area in a uniform, elegant manner. 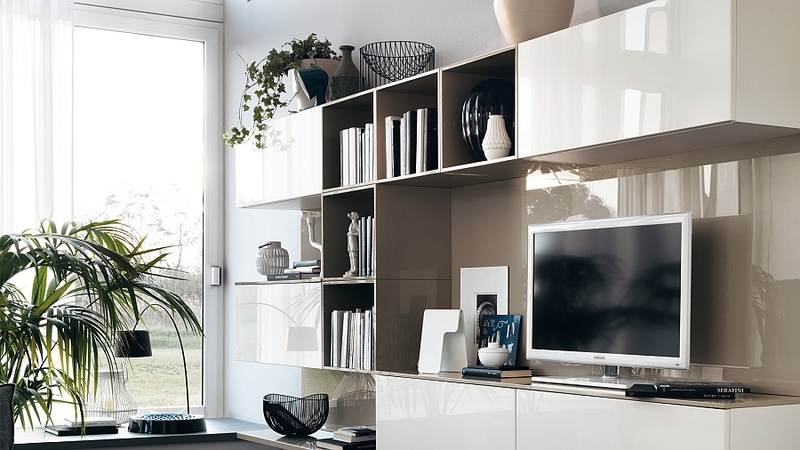 From coat cupboards to framed doors, glass-fronted wall cabinets and stunning kitchen islands, OPEN offers space-saving and smart design solutions that adapt and evolve with your busy lifestyle.